Ever wanted to automatically create new contacts in Nimble from your Wufoo form submissions? Here’s how to easily do just that with Zapier. 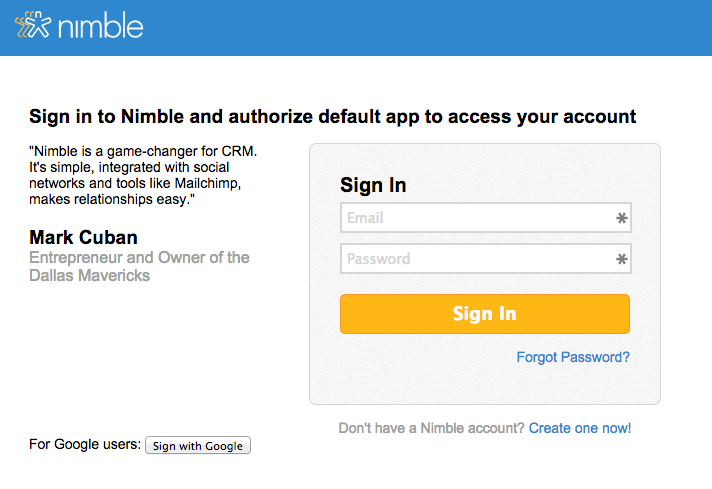 To connect your Nimble account to Zapier, you’ll just need the email address and password you use to login to your Nimble account. Then, in Wufoo, just make sure you already have a form active that’s collecting contact info. 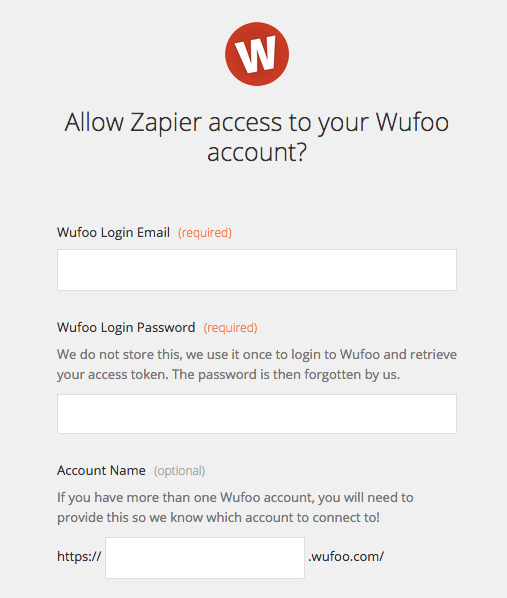 Have your account info handy for Wufoo as well to add it to Zapier. That’s all you need to get Nimble and Wufoo working together! All we’ll have to do now is create a new Zap that connects your Wufoo form to your Nimble account and automatically creates new Nimble contacts from your Wufoo form submissions. Click the “Use this Zap” button here to get started. You’ll first need to connect your Wufoo account. After clicking on “Connect”, enter your Wufoo login email, password, and account name so Zapier can connect to your Wufoo account. Zapier will load your Wufoo forms, and you can pick the one you need to use. Click the down arrow and scroll through the forms listed or use the search box to find the form you want to connect to Nimble. Once you’ve clicked it, click the “Save + continue” button. Now, it’s time to connect your Nimble account. Enter the email address and password you use to login to Nimble, and Zapier will connect with your account. You’re almost done. All that’s left is to match up the information from your Wufoo form to the contact fields in your Nimble account. 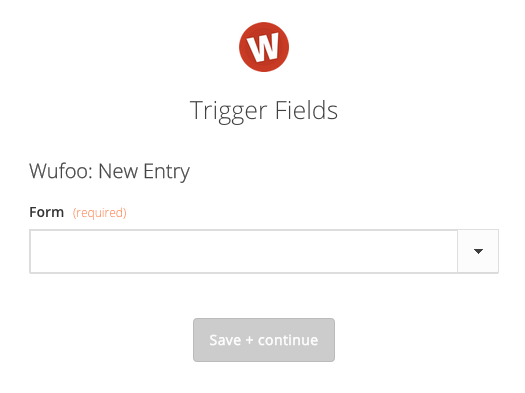 Click the Wufoo button beside every item, and select the form information that’s appropriate for that field in Nimble. The possibilities here are endless; anything from your Wufoo form can be seamlessly added right into a new lead in your Nimble account. Once you’ve got everything from your form linked to the correct Nimble fields, click the button on the bottom to finish making your Zap. With the heavy lifting out of the way, you can now test the Zap to ensure that everything is connected the way you wanted. Once the tests are done, go check your Nimble account and make sure the new contact was added correctly. 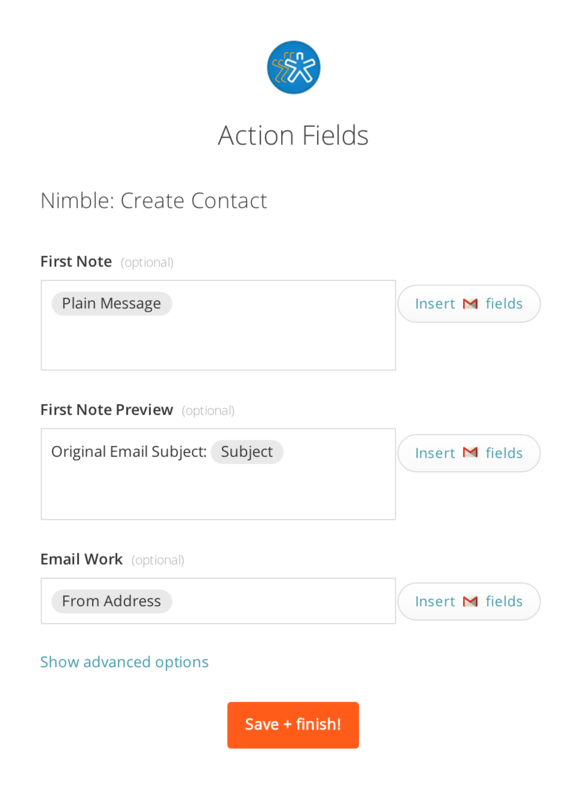 If so, you’re all set and Zapier will now automatically create new Nimble contacts anytime your Wufoo form is filled out. If you ever want to make any changes to the Nimble and Wufoo integration, or would like to automate anything else with Zapier, just go to zapier.com login to your account, and make any additions you’d like. Have you ever wished you could automatically create new contacts in Nimble anytime you get a new subscriber in Mailchimp? Now you can easily do just that with the help of Zapier. For Mailchimp, make sure you already have a list that’s collecting subscribers. 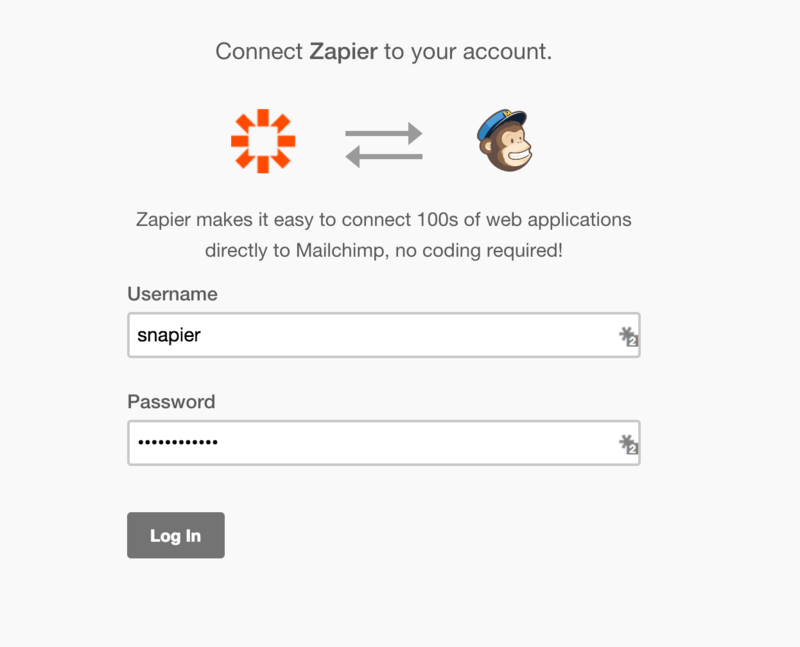 Have your account information handy for Mailchimp as well to add it to Zapier. That’s all you need to get Nimble and Mailchimp working together! Now all we have to do is create a new Zap that connects your MailChimp list to your Nimble account and automatically creates new Nimble contacts from your MailChimp subscribers. Click the “Use this Zap” button here to get started. You’ll first need to connect your MailChimp account. After clicking on “Connect”, you’ll be redirected to MailChimp, where you’ll be asked to login and authorize the connection to your Zapier account. Zapier will then load your MailChimp lists, and you can pick the one you’d like to find new subscribers in. Click the down arrow and scroll through the lists listed or use the search box to find the list you want to connect to Nimble. Once you’ve clicked it, click the “Save + continue” button. You’re almost done. All that’s left is to match up the information from your MailChimp subscriber to the contact fields in your Nimble account. You’ll see that “Email” has already been taken care of for you, so feel free to click “Save + Finish”. You’ll now be able to test the Zap to ensure that everything is connected the way you wanted. Once the tests are done, go check your Nimble account and make sure the new contact was added correctly. If so, you’re all set and Zapier will now automatically create new Nimble contacts anytime you have a new MailChimp Subscriber. If you ever want to make any changes to the Nimble and MailChimp integration, or would like to automate anything else with Zapier, just go to zapier.com, login to your account, and make any additions you’d like. Ever wanted to automatically create new tasks in Nimble from Evernote notes? Here’s how to easily do just that with Zapier. 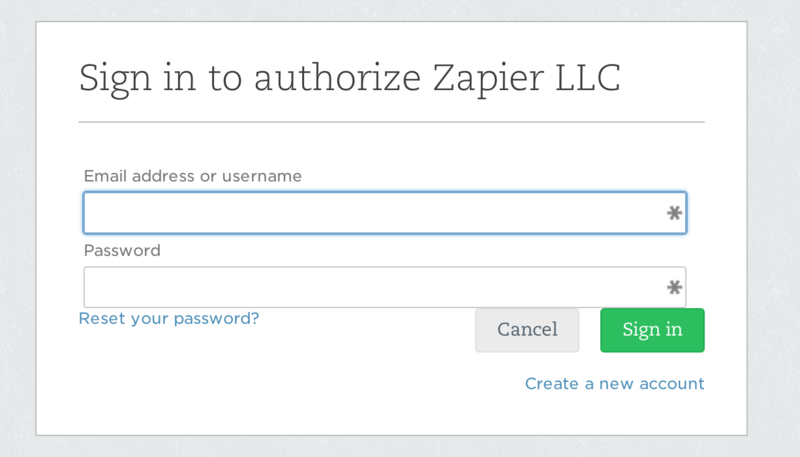 You’ll need to have your account info handy for Evernote as well to add it to Zapier. That’s all you need to get Nimble and Evernote working together! All we’ll have to do now is create a new Zap that connects your Evernote Account to your Nimble account and automatically creates new Nimble tasks from your new Evernote notes. Click the “Use this Zap” button here to get started. You’ll first need to connect your Evernote account. After clicking on “Connect”, you’ll be redirected to Evernote, where you’ll be asked to login and authorize the connection to your Zapier account. 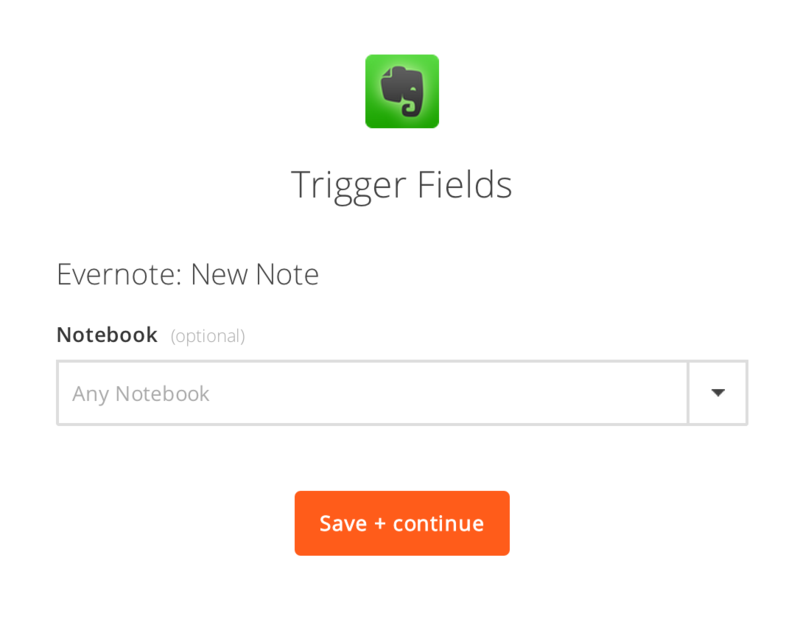 Zapier will then load your notebooks and you can pick the one you’d like to trigger new notes from. Click the down arrow and scroll through the notebooks listed or use the search box to find the notebook instead. Once you’ve selected the one you want, click the “Save + continue” button. You can also leave this field blank to trigger off of all new notes. You’re almost done. All that’s left is to match up the information from your Evernote note to the task fields in your Nimble account. You’ll see that “Subject” and “Notes” have already been taken care of for you, but you can click the Evernote button beside every item, and change the information used if you’d like. Once you’ve done that, click “Save + Finish”. You’ll now be able to test the Zap to ensure that everything is connected the way you wanted. Once the tests are done, go check your Nimble account and make sure the new task was added correctly. If so, you’re all set and Zapier will now automatically create new Nimble tasks anytime you create a new Evernote note. If you ever want to make any changes to the Nimble and Evernote integration, or would like to automate anything else with Zapier, just go to zapier.com, login to your account, and make any additions you’d like. Ever wanted to automatically create new contacts in Nimble from your Google Contacts? Here’s how to easily do just that with Zapier. You’ll need to have your account info handy for Gmail as well to add it to Zapier. That’s all you need to get Nimble and Google Contacts working together! All we’ll have to do now is create a new Zap that connects your Google Contacts Account to your Nimble account and automatically creates new Nimble contacts from your new Google contacts. Click the “Use this Zap” button here to get started. You’ll first need to connect your Google Contacts account. After clicking on “Connect”, you’ll be redirected to Google, where you’ll be asked to login and authorize the connection to your Zapier account. 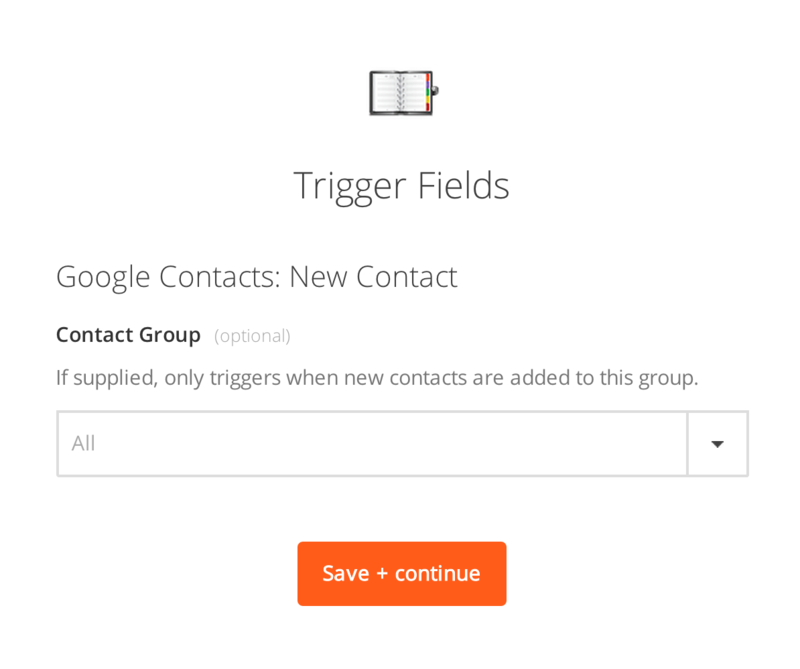 Zapier will then load your contact groups, and you can pick the one you’d like to find new contacts in. Leave this blank if you’d like to trigger on all new contacts regardless of the group they’re in. You’re almost done. All that’s left is to match up the information from your Google Contact to the contact fields in your Nimble account. You’ll see that “First Name”, “Last Name”, and “Email” have already been taken care of for you, so feel free to click “Save + Finish”. You’ll now be able to test the Zap to ensure that everything is connected the way you wanted. Once the tests are done, go check your Nimble account and make sure the new contact was added correctly. If so, you’re all set and Zapier will now automatically create new Nimble contacts anytime you have a new Google Contact. If you ever want to make any changes to the Nimble and Google Contacts integration, or would like to automate anything else with Zapier, just go to zapier.com login to your account, and make any additions you’d like. Ever wanted to automatically create new contacts in Nimble from unique senders in your Gmail inbox? Here’s how to easily do just that with Zapier. That’s all you need to get Nimble and Gmail account working together! All we’ll have to do now is create a new Zap that connects your Gmail Account to your Nimble account and automatically creates new Nimble contacts from unique senders in Gmail. Click the “Use this Zap” button here to get started. You’ll first need to connect your Gmail account. 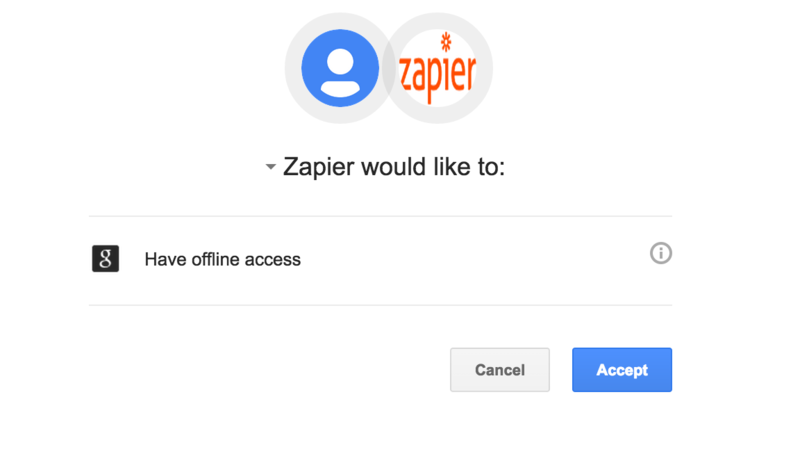 After clicking on “Connect”, you’ll be redirected to Google, where you’ll be asked to login and authorize the connection to your Zapier account. 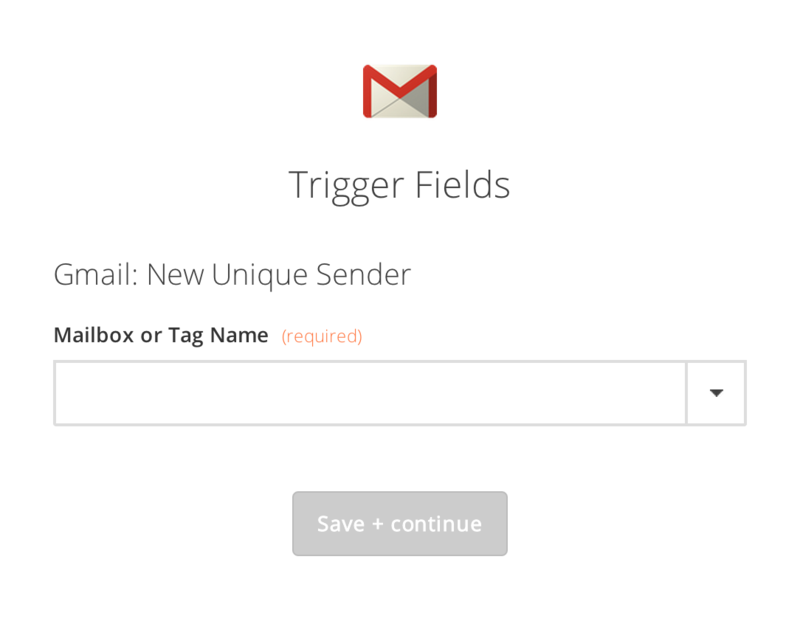 Zapier will then load your mailboxes/tags, and you can pick the one you’d like to find new unique senders in. Choose “All Mail” from the drop-down if you’d like to trigger on all new unique senders regardless of the mailbox or label. You’re almost done. All that’s left is to match up the information from your Gmail account to the contact fields in your Nimble account. You’ll see that “First Note”, “First Note Preview”, and “Email” have already been taken care of for you, so feel free to click “Save + Finish” to move onto the next step. If you’d like to change the information you’re sending across to Nimble, you can do so by clicking on the “Insert Fields” button next to each field. You’ll now be able to test the Zap to ensure that everything is connected the way you wanted. Once the tests are done, go check your Nimble account and make sure the new contact was added correctly. If so, you’re all set and Zapier will now automatically create new Nimble contacts anytime you have a new unique sender in Gmail. If you ever want to make any changes to the Nimble and Gmail integration, or would like to automate anything else with Zapier, just go to zapier.com, login to your account, and make any additions you’d like. Ever wanted to automatically create new contacts in Nimble from uploaded business cards in FullContact? Here’s how to easily do just that with Zapier. 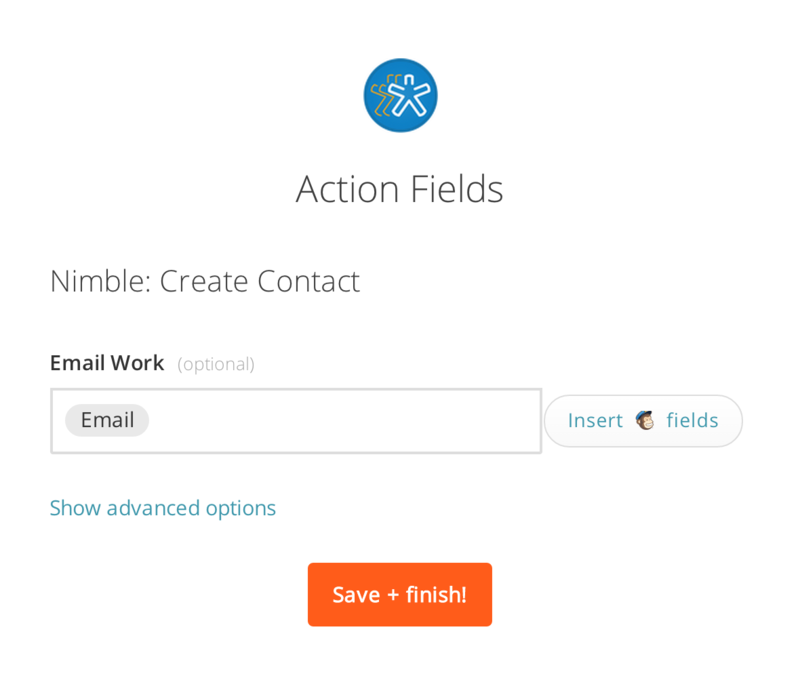 To connect your Nimble account to Zapier, you’ll just need the email address and password you use to login to your Nimble account. 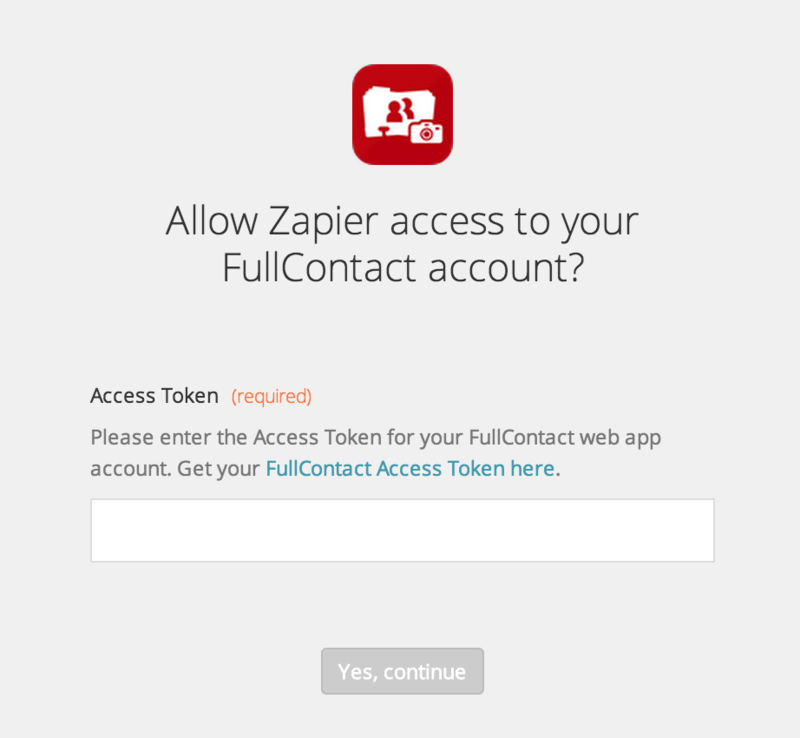 As for FullContact, you’ll need your access token to add your account to Zapier. 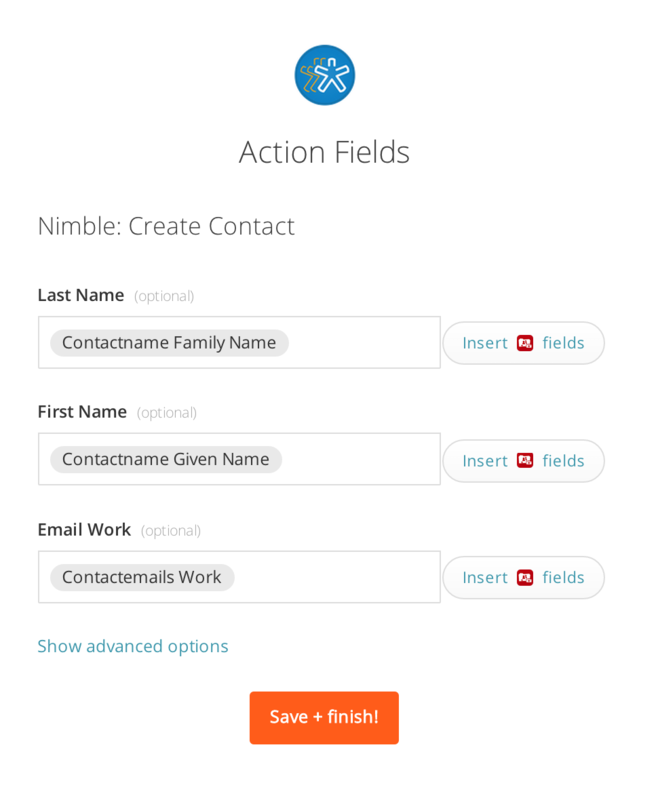 That’s all you need to get Nimble and FullContact account working together! 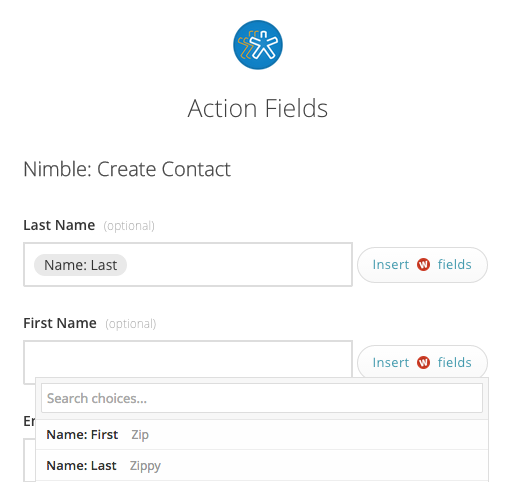 All we’ll have to do now is create a new Zap that connects your FullContact Account to your Nimble account and automatically creates new Nimble contacts from business card uploads in FullContact. Click the “Use this Zap” button here to get started. You’ll first need to connect your FullContact account. After clicking on “Connect”, you’ll be asked to paste in your FullContact access token. You’re almost done. All that’s left is to match up the information from your Gmail account to the contact fields in your Nimble account. You’ll see that “Last Name”, “First Name”, and “Email” have already been taken care of for you, so feel free to click “Save + Finish” to move onto the next step. If you’d like to change the information you’re sending across to Nimble, you can do so by clicking on the “Insert Fields” button next to each field. You’ll now be able to test the Zap to ensure that everything is connected the way you wanted. Once the tests are done, go check your Nimble account and make sure the new contact was added correctly. If so, you’re all set and Zapier will now automatically create new Nimble contacts anytime you upload a new business card to FullContact. If you ever want to make any changes to the Nimble and FullContact integration, or would like to automate anything else with Zapier, just go to zapier.com, login to your account, and make any additions you’d like.